The well-known phrase, “You only get one chance to make a first impression,” drives many of us as we make decisions every morning. Decisions as to what shirt or shoes we are going to wear each day are directed by whom we will see and what impression we think these clothes could make. Our smile is no different. As much care as we spend on our clothing and accessories, it should also be taken with the appearance of our smile. Teeth whitening is a simple and cost-effective step to improving our smile and boosting confidence. 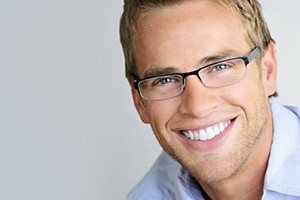 Why Choose Morgan-Hill Dental Care for Teeth Whitening? There are many options available to whiten our smile. Here are just a few of those choices. Teeth whitening toothpaste is advertised on commercials everyday but the truth is that it only offers a polishing effect. Toothpaste does not actually whiten the teeth. Teeth whitening strips are another option we see regularly advertised. This option does actually whiten teeth but takes several days to make a noticeable difference. The process is simple and fairly easy to do. Teeth whitening trays and gels can also be used to achieve a white smile. This process takes time but is not expensive. Our team at Morgan-Hill Dental Care can create a custom fitted tray for your mouth and send you home with our teeth bleaching solution so you can do the whitening at home. Results can be seen after only one treatment but for the best results, most used the system once a day for two weeks. Dental assisted whitening is the fastest and strongest option. Teeth become several shades whiter in only one appointment. If you want to see results in a very short amount of time, this is the best choice for you. At Morgan-Hill Dental Care, we use Zoom! Whitening treatment to achieve the quickest results. It is a light-activated bleaching system that whitens up to eight shades in one visit. If you are interested in teeth cleaning in the Gorham, ME area, call Morgan-Hill Dental Care to schedule your next appointment today!